situation. Facing mainly all division teams, the Penguins hold their season in their own hands. The playoff race in the Metropolitan division continues to be tight and every point is as precious as a flawless diamond. The Flyers have been nipping at the Penguins' heels (the Philadelphia Flyers, you know, Pennsylvania's other hockey team) and the teams are set to do battle Saturday afternoon. They then come back home to face a juggernaut in the Washington Capitals. Thankfully, a resilient come from behind win against the Hurricanes gave the Pens a much needed 2 points and now sit 4 points ahead of the Flyers and extended their win streak to 4 games. The Flyers, however, have been a team on fire. They are 8-1-1 in their last 10 games, their most recent win coming against the Chicago Blackhawks. While there is never any love lost with these two teams (if there was any to begin with), the Pens cannot afford to let the Flyers get under their skin early. Taking un-necessary retaliation penalties or fighting majors would give the Flyers the man advantage and could prove disastrous. Flyers centerman, Brayden Schenn, has scored 6 goals in the last 8 games, and together with Wayne Simmons (their leading scorer) have stepped up to fill the void left by the injured left winger, Jakub Voracek. The Pens are going to have to start filling the net early on any and every chance they can get and pair it with a strong defensive stand with Marc-Andre Fleury between the pipes as not to find themselves playing from behind. 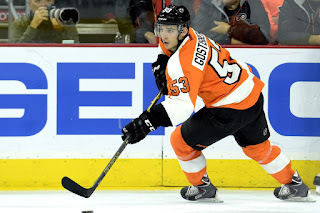 Another development- the name on almost every sports commentators lips has been the "Ghost Bear", Shayne Gostisbehere. The rookie has skyrocketed himself into Calder Trophy contention since the last time these two teams faced off and is a growing force to be reckoned with. Don't let his skinny build fool you, his instincts and playing ability give him to the potential to become among the elite in the NHL. It will be interesting to see how he fares against the speed of winger, Carl Hagelin, who since their last meeting, has had more time to grow and gel with his line mates since he was brought over from Anaheim. And let's not forget the Pens come with their own young gun defenseman, Brian Dumoulin. Though he has yet to be rewarded with a goal for his efforts, Dumo is a tank on skates and is well above average in the league when it comes to scoring suppression and generation. It is fair to say he will be giving Flyers forwards fits this weekend and for a long time to come. 24 hours later, the Pens will gear up and once again come face-to-face with the #1 team in the NHL- the Washington Capitals. 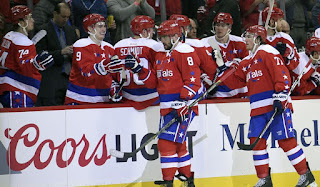 Having already clinched a playoff spot, the Caps have nothing to lose. Points to them at this stage don't matter. What does matter..is trying to keep the Penguins out. The Caps possess an aggressive fore-check and with big bodies such as Tom Wilson and (former Penguin) Brooks Orpik, little by little, they will wear an opponent down. The Penguins will have to dig down deep to avoid being manhandled and not be afraid to play with a little physicality themselves but do so while avoiding injury. Braden Holtby, the Caps net-minder, is one of the best in the league, so pretty, highlight reel worthy goals are going to be far and few between. Getting down in the paint and getting to those rebounds for 2nd, 3rd, even 4th chances on net is going to be key if the Pens hope to score. They will not have the Malkin Magic this time, so contributions from all lines (like they have been getting in these past games) will be needed. Just like against the Flyers, getting out in front early will be important and so will being able to defend that lead and not allowing the Caps to get back into the game. Along with heavy physical play, the Pens defense will have to withstand the scoring threats that can come from all sides. Along with the usual lasers from Alexander Oveckin, Fleury will have to keep his head on a swivel for Evgeny Kuznetsov. With 20 goals on the season and 50 assists, he and Ovi pair up for a deadly combination of precision and skill. It will be up to Elite defenseman Kris Letang along with players like Brian Dumoulin and Jeff Schultz to take away their scoring chances as much as possible. I am not going to say that this weekend is "make-or-break" for the Penguins' season and playoff hopes but with the Metro division playoff race tight again from 2nd place on back (because no one is catching the Capitals), losing both games while others in the division continue to win theirs could see the Pens once again on the outside looking in. 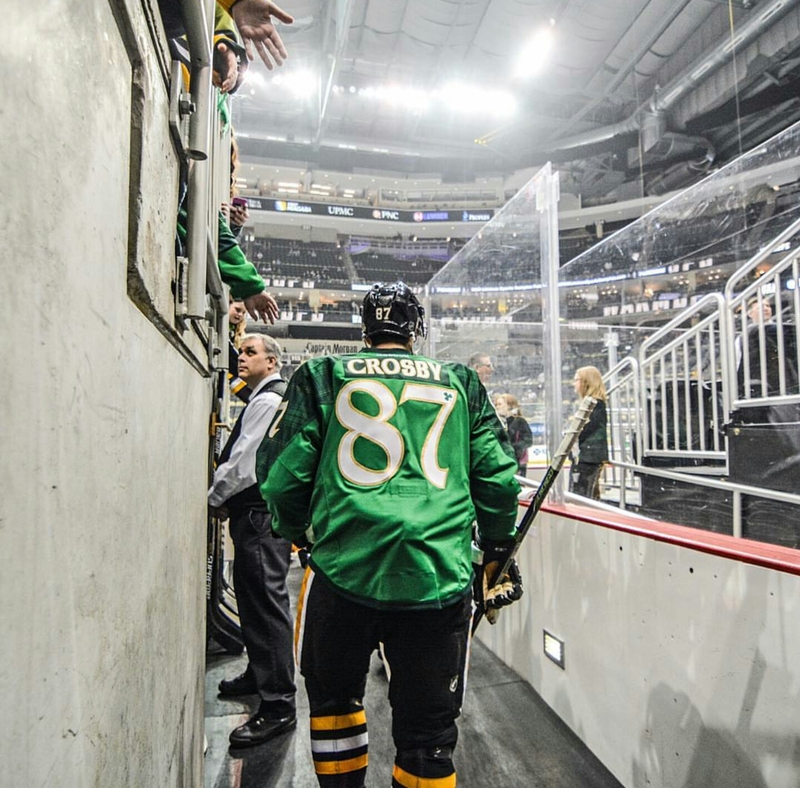 As if it weren't bad enough, the Penguins have ANOTHER set of back-to-back weekend games the following week as well. Don't you just LOVE this game schedule? It wouldn't be so bad had the team not gotten off to such a rocky start but a months worth of missed points is hurting their playoff chances something fierce. The gauntlet has been laid out. 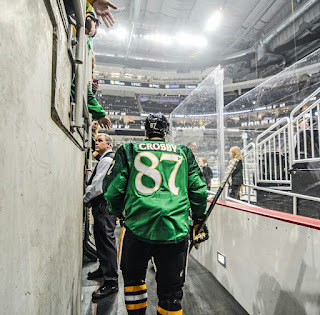 It is time for the Pens to show just what they are really made of and if they will even be able to withstand any sort of playoff run at all. To end it simply- it's time to step up or go play golf.